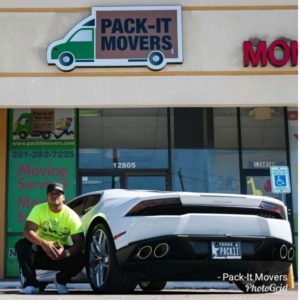 Pack It Movers is a moving company that is unlike any other in the San Diego, Houston and Katy areas. We offer many services that other moving companies don’t, like price matching, free estimates, and 24 live customer service. We are a residential and commercial moving company that families and businesses can trust. Pack It Movers is a residential and commercial moving company with a team of highly trained moving experts. Our staff is taught to be knowledgeable, efficient, and to protect the belongings of our clients above all else. When you choose us, you can be sure that your next move will be handled by a team of moving specialists whose priority is getting your belongings moved safely and soundly.